Eastleigh’s much delayed local plan has moved a step closer to reality last night after Liberal Democrat councillors voted to focus on plans for more housing in Bishopstoke and Fair Oak with a new by-pass from Fair Oak to all Allbrook to link to the M3 at junction 12. Councillors heard that with there was no Government funding available currently for the Chickenhall Lane eastern bypass of Eastleigh and that proposed that a lack of traffic solutions in South Bishopstoke and around Allington Lane made development there unfeasible . “Keith House is wrong to suggest planning inquiries are ‘government led’ – the planning Inspector is independent. The council has failed to protect gaps for six years without a local plan turning the borough into a wild west for hostile planning applications and they (the council) have resisted developing Allington Lane several times. The MP who was seated in the public gallery during the meeting, came in for sharp criticism from Lib Dem members over the failure of the government to deliver a link road at Chickenhall but she insisted that it was too soon to write the project off as it remains listed on the governments local majors list and she was still lobbying ministers. 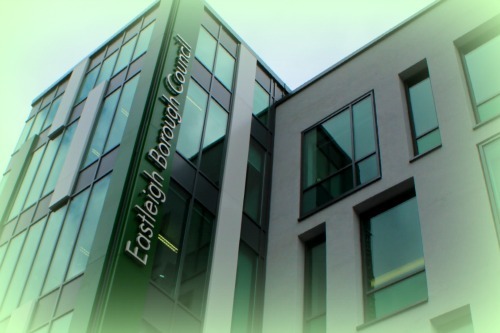 Eastleigh Borough Council say that these local communities will have their chance to comment on future proposals as part of a full consultation process planned before summer 2017.